How history's spiritual trailblazers light the way on our own evolutionary journeys. Discuss the steps of initiation in becoming a divine rebel, including more than one dark night of the soul, preparing you to walk a path of truth and love for the ultimate spiritual revolution. 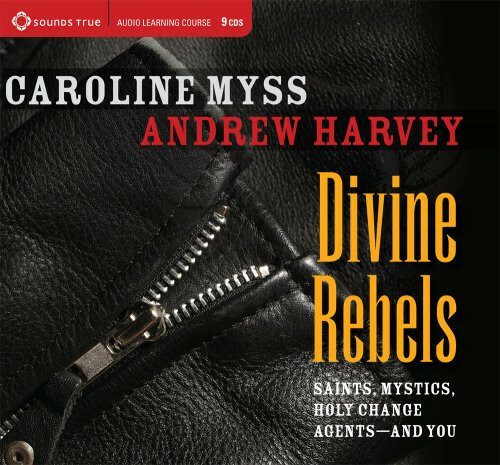 Observe stories of saints, sages, and mystics—including the evolutionary nature of divine rebel partnerships--and learn from both their struggles and triumphs. Summarize the value of the convergence of the sacred masculine and sacred feminine in our time. Observe fierce wisdom, revelatory teachings, and compassionate guidance for your soul's most transformative journey. It is a splendid series, however when I downloded the cd, I only received the first 8 of 13 lectures?